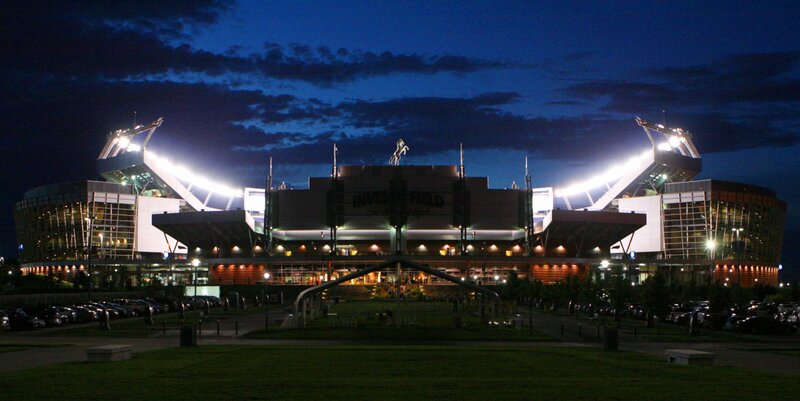 DENVER, CO – The Blue Knights are pleased to announce the Percussion Staff team for the 2019 Drum Corps International season. Veronica Wicks is the Percussion Caption Head for the Blue Knights Drum & Bugle Corps. 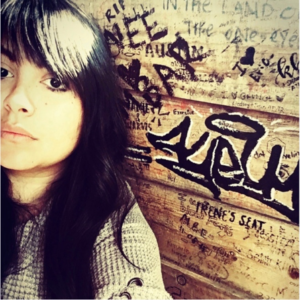 Veronica is a percussion educator in Southern California with an additional background of study in psychology and social work. She has taught many schools throughout her teaching career and is dedicated to educating young adults through music and mentorship in personal growth and development. 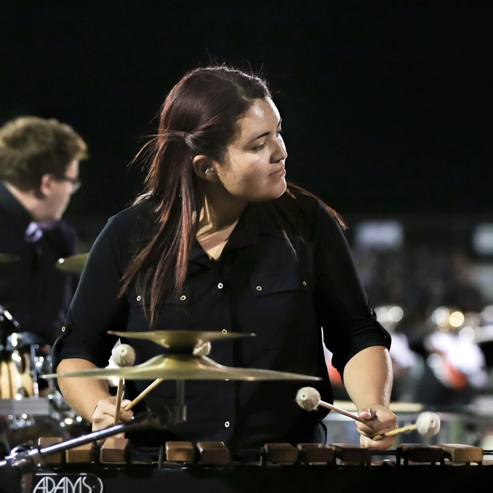 Veronica currently teaches and designs for battery percussion at several high schools in Southern California along with Broken City Percussion and Blue Knights Drum & Bugle Corps. 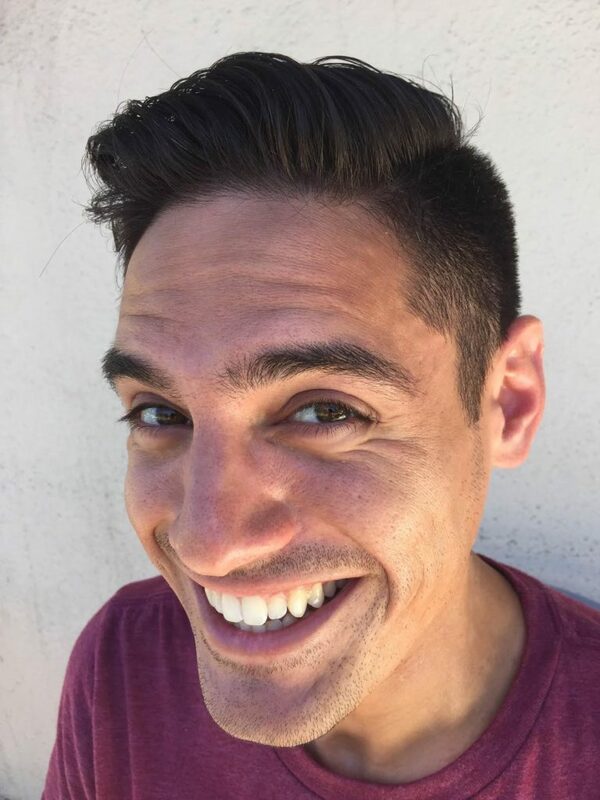 Kevin Shah is an active designer and educator in the world of the marching arts. As a composer for winds and percussion, Kevin owns and operates projectRISEmusic.com which features many of his works for marching band and percussion ensemble. 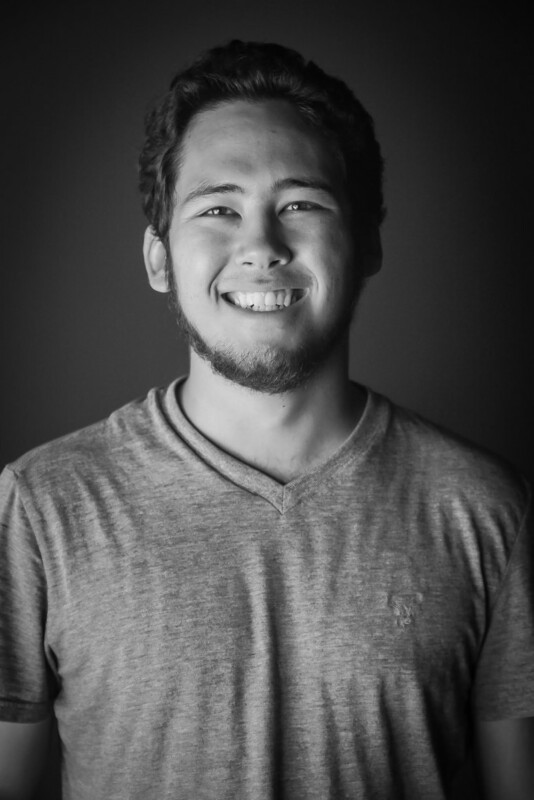 Kevin is very involved in winter percussion and is the music designer for Arcadia High School (2011 WGI Scholastic World Champions, 2016 WGI Scholastic World Bronze Medalists) and Broken City Percussion (2016 WGI Independent World Bronze Medalists). Previously, Kevin has written for George Mason University (2012 WGI Independent Open Champion) and served as a consultant for Rhythm X. Kevin is also a member of the WGI percussion steering committee. Kevin has travelled with WGI to Indonesia, Malaysia, and Thailand as a judge and clinician for the first two WGI Asia Regionals in 2015 and 2016. As a longtime fan of drum corps, Kevin marched bass drum with Pacific Crest in 1999 and 2000 and aged out with the Santa Clara Vanguard in 2002. 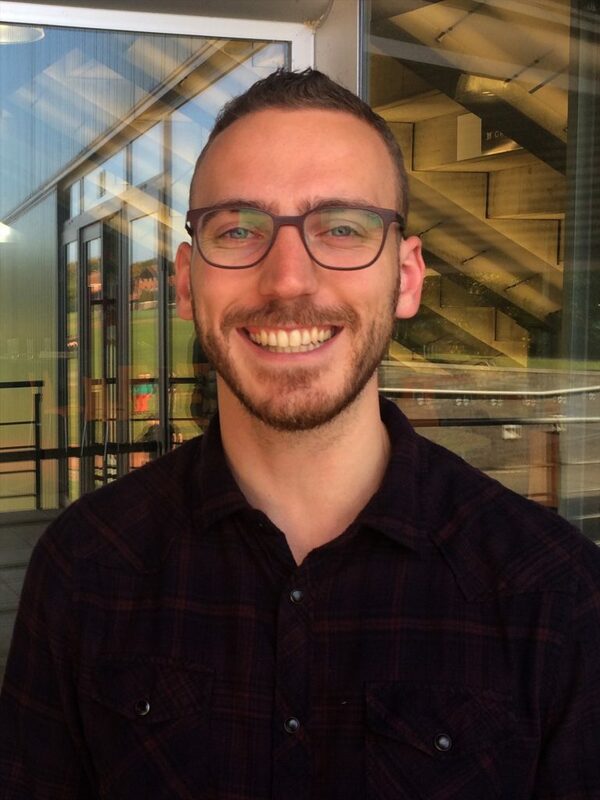 Kevin served as the Sound Designer for the Bluecoats from 2010 – 2013, and was the Front Ensemble Arranger for the Mandarins in 2013 and 2014. Kevin joined the Blue Knights in 2014 and serves as Music Coordinator and as a Composer/Arranger. Kevin also serves on the DCI Rules and Systems Task Force (RSTF). Kevin holds a B.M. in percussion performance from UCLA where he studied with Mitchell Peters, and an M.M. in percussion performance from the Juilliard School of Music where he studied with Greg Zuber, Daniel Druckman, Gordon Gottlieb, Joseph Pereira, and the late Roland Kohloff. As a percussionist, Kevin has performed with the Metropolitan Opera, the Pacific Symphony, and has traveled to Europe, South Korea, Japan, and Australia while performing with the UBS Verbier Festival Orchestra. Kevin is a Yamaha Performing Artist and also endorses Evans Drumheads and Sabian Cymbals. Mike Jackson is the Percussion Arranger/composer and will provide oversight as Percussion Caption Supervisor for the Blue Knights Drum & Bugle Corps. For over two decades, Mike has been writing, teaching and designing shows for some of the most nationally recognized percussion programs in the United States. Historically, these include Mission Viejo HS, RCC, Santa Clara Vanguard, and the Bluecoats Drum & Bugle Corps. He has also sat on the Board of Directors for WGI and has been inducted into the WGI Hall of Fame. Mike is currently a designer/composer for the Blue Knights Drum & Bugle Corps, a designer/composer for Broken City Percussion, a board member and co-founder of SCPA (Southern California Percussion Alliance), a partner at Broken City Artists, a Yamaha performing artist and proudly using Evans Drumheads, Zildjian Cymbals, and Vic Firth Sticks/Mallets. Phil Idell received his B.A. in Music Education from UCLA in 2012, where he studied percussion under Mitchell Peters and participated in numerous university music ensembles, including the UCLA Bruin Marching Band. He currently instructs, arranges, and designs for several high school marching bands and front ensembles in the Los Angeles area and serves on the front ensemble staff at Broken City. Phil’s performance experience includes Pacific Crest, the Blue Devils, and RCC Indoor Percussion. Phil is looking forward to another year on staff with Blue Knights. 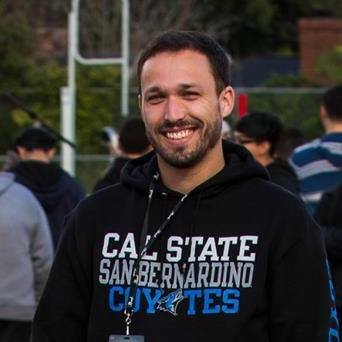 Brandon Amaral is a Southern California front ensemble educator returning to the Blue Knights percussion staff. Brandon earned his Bachelor of Science in Applied Mathematics from California State University San Bernardino and is currently earning a single subject teaching credential in Secondary Level Mathematics at CSU Fullerton. 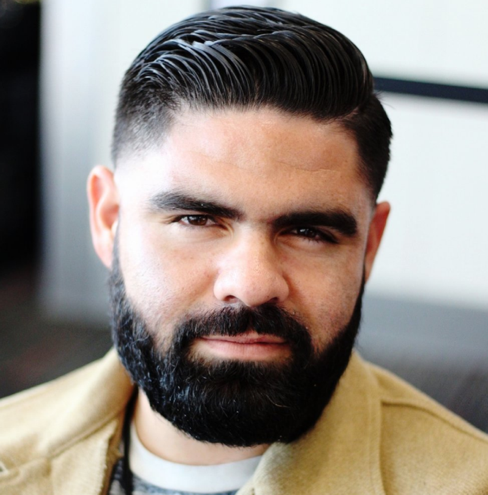 Brandon directs the front ensemble at Diamond Bar HS and serves as instructional staff with Broken City Percussion and the Riverside City College Marching Tigers. Brandon studied percussion under Dr. Matthew Altmire at Mt. San Antonio College and performed with RCC Indoor Percussion, The Academy Drum & Bugle Corps, and the Madison Scouts Drum & Bugle Corps. Past teaching credits include seasons with POW Percussion, Dark Sky Percussion, Mandarins, and Pacific Crest. Starting out as a bottom bass drum player at Woodcrest Junior High School, Vanessa Santiago has evolved into a world-class percussionist throughout her years of involvement with music. She began her DCI career in her senior year with the Sacramento Mandarins Drum and Bugle Corps, where she marched for two seasons (2014 and 2015). Vanessa also began her WGI career with Pulse Percussion in 2015, and returned for the 2016 and 2018 winter seasons. She spent her last three DCI seasons performing with the Blue Devils Drum and Bugle Corps (2016-2018). Vanessa has been teaching various schools in the Southern California area for several years, such as the San Bernardino Percussion Varsity and Junior Varsity groups, Patriot High School, Cajon High School, Orange Vista High School, Rancho Verde High School, Chaffey High School, and Vista Murrieta High School. Along with being a percussion instructor, she has been attending RCC and will be continuing her education at UC Riverside this winter to complete her Bachelors of Science in Mechanical Engineering. Vanessa will be joining the front ensemble staff for the 2019 Blue Knights season. 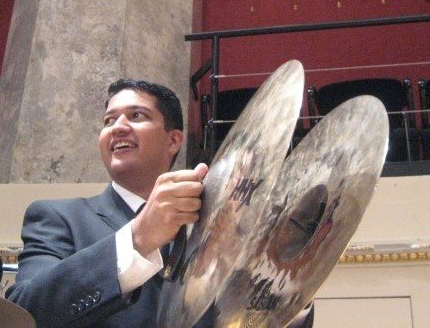 Taha Ahmed will be returning as a snare tech for the Blue Knights. 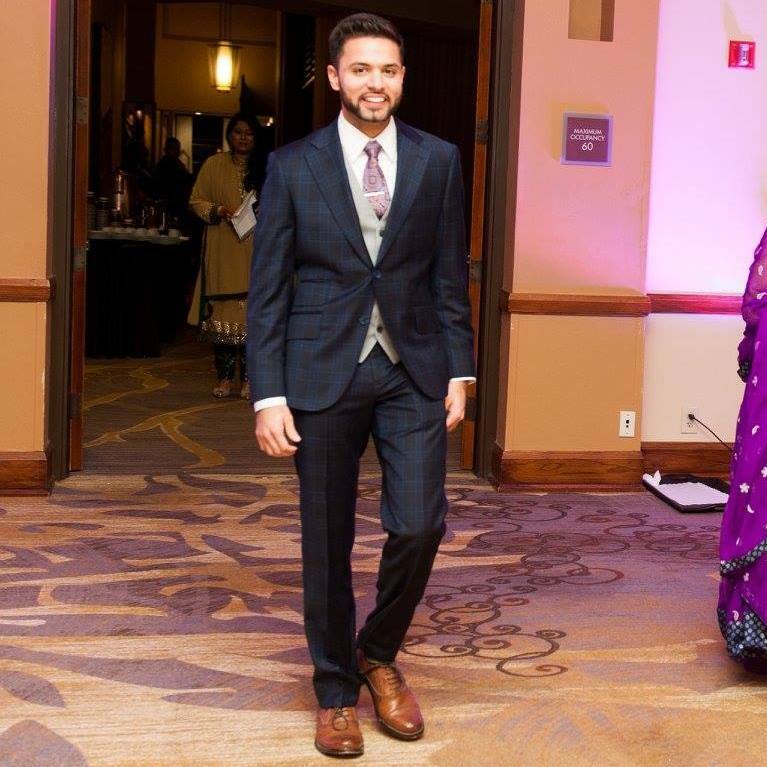 Taha received his Bachelor of Science in Neurobiology from the University of Texas at Austin. Currently, he resides in the Houston area where he is the battery specialist at Cy-Fair High School, and Cy-Falls high school. He is also an active instructor, consultant, arranger, and rudimental private lesson teacher at numerous other high schools in the area. 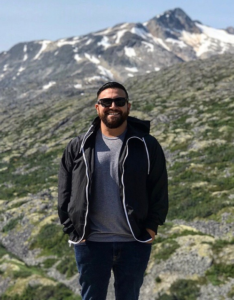 When Taha is not teaching, he is working as a Licensed Advanced Emergency Medical Technician and applying to further programs in the medical field. Taha has multiple years of experience beyond the scholastic level. His drum corps experience includes being a snare drummer at Bluecoats 2012, Academy 2011, Santa Clara Vanguard 2010, and the Troopers in 2009 and 2008. He was a snare tech at The Blue Knights Drum and Bugle Corps. Prior to that, he was the snare tech at The Spirit of Atlanta Drum and Bugle Corps for their 2015 season. During his drum corps career, Taha was privileged to learn from instructors such as Mike Jackson, Murray Gusseck, Ralph Hardimon, Glen Crosby, Roger Carter, Eric Shriver, Matt Ramey, Jim Ragsdale, Brian Stevens, Rick Barclay, Derrick Fields, and Kevin Welborn. In the indoor scene, Taha has also experienced multiple seasons of success as an instructor. He was the Battery Coordinator and Movement Specialist for the 2014 WGI Independent A Gold Medalist, Lone Star Independent. Taha has been working with Monarch Independent since it’s inaugural season in 2015. Monarch Independent was the Texas Color Guard Circuit Independent Open Gold Medalist and WGI Independent Open Finalist in both 2015 and 2016. In 2017, Monarch made its World Class debut and received 7th place at WGI Finals. Taha was also the battery specialist for the 2016 PSO Bronze Medalist, Cy-Fair High school, and for the 2016 Open Class finalist, Cy-Falls High School. Brandon Hussey has studied percussion in the Sacramento and San Jose areas for the past 15 years. Studying under Daniel Kennedy from the CSU Sacramento percussion studio, Roger Carter, Vince Oliver, and Jamie Holly with the Sacramento Freelancers, Murray Gusseck and Brian Mason with the 2009 Santa Clara Vanguard, and absorbing the vast information from the influential staff at those programs has led Brandon to a lifestyle of marching percussion. Most of his teaching career has evolved by working alongside Casey Brohard, Chris Cyr, Kohei Mitzushima, and Mr. Oliver. Currently residing in San Jose, he works with local middle and high schools as well as independent groups for indoor and outdoor percussion. On the side, he performs with drummers of the San Francisco Bay Area in the AfterShock and NinerNoise drumlines for BDEntertainment. He has also spent time as a volunteer for the McKinley Elementary school outreach program that encouraged students to aim higher in their academic and social environments using sticks and buckets. This year, he will be returning to the Blue Knights Drum & Bugle Corp percussion staff. Thomas Claesen is excited to start his third season with the Blue Knights Drum and Bugle Corps. He has taught marching ensembles and English as a foreign language in Europe, Africa, and the Americas. Currently Thomas teaches the quadlines at Blue Knights Drum and Bugle Corps and Rhythm X. Born and raised in Belgium, Thomas moved to the States in the fall of 2017. He now lives in Nashville, TN with his wife Chelsea and their energetic dog Rachel. He works as a freelance web designer and translator. Thomas marched drum corps at The Academy (2008-2009), Santa Clara Vanguard (2010) and The Cavaliers (2011). Some of his teaching experiences include being the battery arranger and coordinator for DrumSpirit, teaching the quadline at The Cavaliers Drum and Bugle Corps, representing Innovative Percussion as an educational artist, working with the Field Band Foundation in South Africa, and being an English lecturer at VIVES University College. Born and raised in Altadena, California, Justin Carpenter began his marching career at age 12 at Marshall Fundamental High School. His marching career included SoCal Dream Drum and Bugle Corps, Pacific Crest Drum and Bugle Corps, Riverside Community College, Orange County Independent Percussion and Broken City. 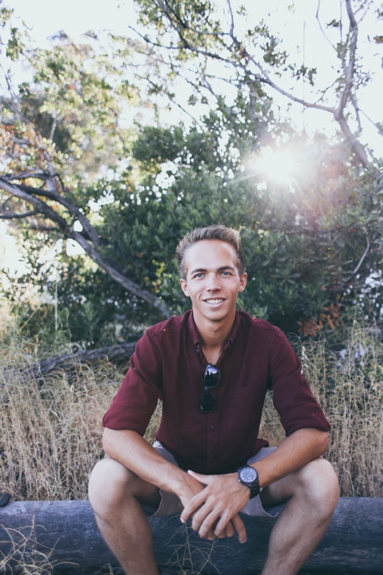 Justin has served as an educator and composer for the marching arts for numerous scholastic and independent ensembles across Southern California. These include: Marshall Fundamental High School, Kaiser High School, Etiwanda High School, Chino High School and is currently the program coordinator for Bonita High School. He has also worked with Gold Drum and Bugle Corps, Shadow Drum and Bugle Corps, Pacific Crest Drum and Bugle Corps and is currently the Battery Manager and Tenor Technician for Vessel Percussion. Justin’s outside life includes attending California State University Fullerton where he is pursuing his undergraduate degree in Criminal Law in hopes to find a career in Homeland Security. Justin will be joining the Blue Knights Percussion staff for the 2019 season. Matt Gonzalez resides in Southern California as an active educator and designer in the marching arts. He was first introduced to the marching activity by Mike Jackson at Chino High School in Chino, CA and eventually went on to march with award winning programs including The Academy Drum and Bugle Corps, POW Percussion, Pulse Percussion and aged out with The Blue Devils Drum and Bugle Corps in 2013 and RCC in 2014. School, Chino Hills High School, Mission Viejo High School and Etiwanda High School as a bass drum tech. 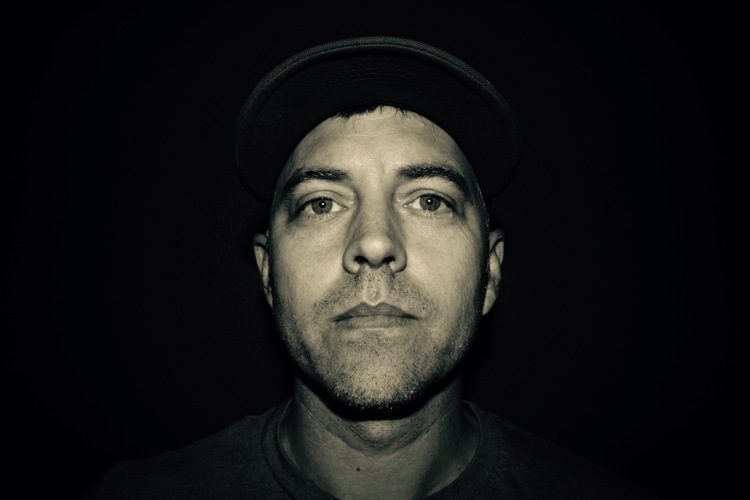 Matt has also been a designer and bass drum tech with Broken City Percussion since 2015. This will be Matt’s sixth year on staff with the Blue Knights. Percussion from 2012-2013, Pulse Percussion from 2014-15, eventually aging out at Broken City in 2016. His DCI experience includes Gold 2011, The Academy 2012, and the Phantom Regiment 2013-2015.
including Walnut, Rowland, Vista Murrieta, and Chino High School where he has served as the Battery Caption Head and Arranger since 2015. In 2017 he then assumed the role of Caption Head and Battery Arranger of the formerly known Orange County Independent where they became a WGI Finalist placing amongst the top five ensembles. After the conclusion of the season the ensemble was renamed Vessel Percussion which now competes in PIW. Steven has been one of the bass drum technicians at the Blue Knights Drum and Bugle Corps since 2016 alongside Matt Gonzalez. Steven currently resides in Ontario, CA. ∴ Click here to join the Blue Knights in 2019!